Mick Palomares from Santa Rosa with the 30lb, the 25lb and the 18lb Salmon he caught today... He left with the 2 bigger ones and gave the other one to another customer. Captain Jared Davis checked in from the Salty Lady out of Sausalito. We switched from San Mateo Coast to Marin Coast. 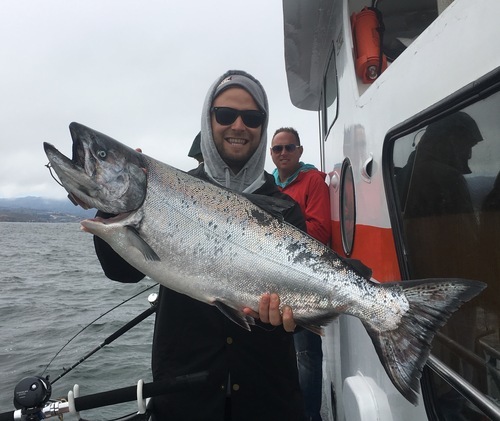 We ended up with 9 King Salmon (up to 30 pounds) and 1 California Halibut for 17 anglers. We got some really nice fish today up to 30 pounds. If you would like to join use we availability next week.